What Should You Do If You See A Blocked Parking Lot After 6.30pm? We Ask A MBPJ Officer! You can actually make a difference. 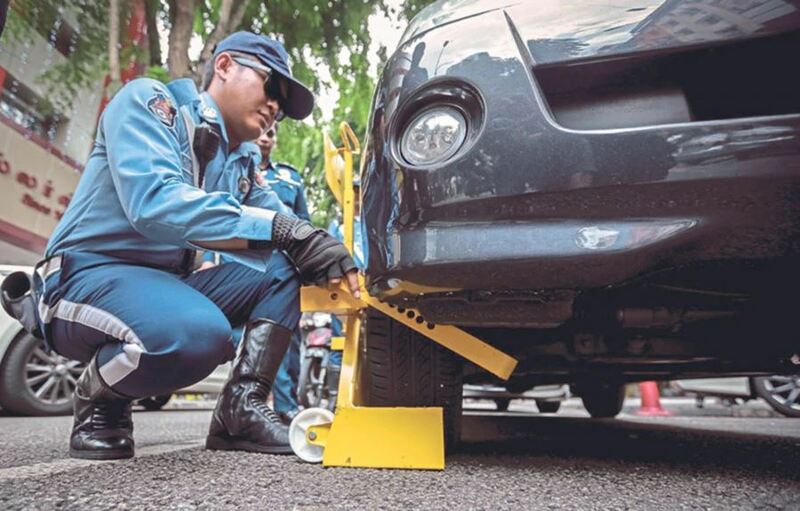 Those living in a high traffic volume and congested areas like Kuala Lumpur and Petaling Jaya would know the amount of pain that one has to go through just to find a parking space. This frustration is common among Malaysians, especially those who like to lepak at crowded mamak shops or restaurants to have dinner. Know what intensifies this frustration to even greater heights? The fact that the one spot that you miraculously found to park your car is a rented or reserved parking. Imagine circling in your car for hours with a growling stomach and finding an empty parking that is reserved. What do you do then? Die in hunger? Scream in anger? Or simply drive back home? 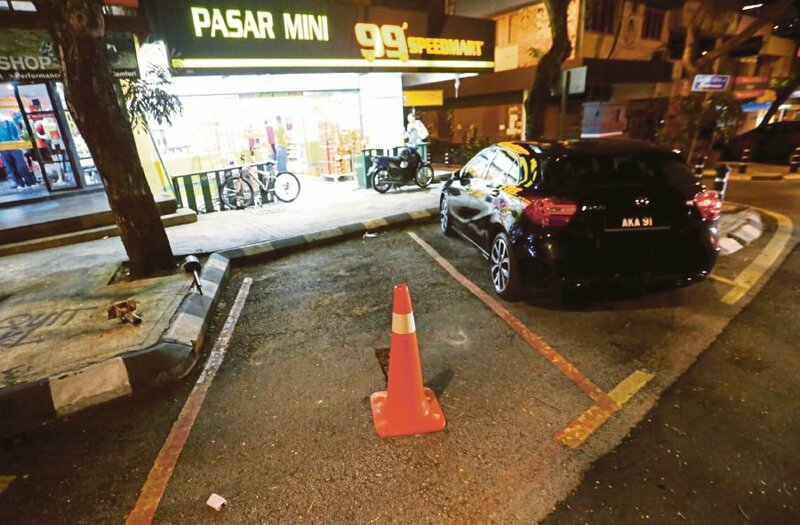 Thankfully, now you don’t have to go through such hassle, especially in Petaling Jaya because its city council, MBPJ, has ruled that parking bays rented to business operators must be opened to the public after 6.30pm. Yes, we hear the huge sighs of relief. But wait; before you start celebrating for all that free parking spaces that you are going to get, there is one thing that you need to be mindful about. Despite the local authorities clamping down on this issue, there’s bound to be stubborn premise owners who refuse to abide by the rules. So, here's the question: What if you find a premise’s parking area still blocked by obstacles after 6.30pm? 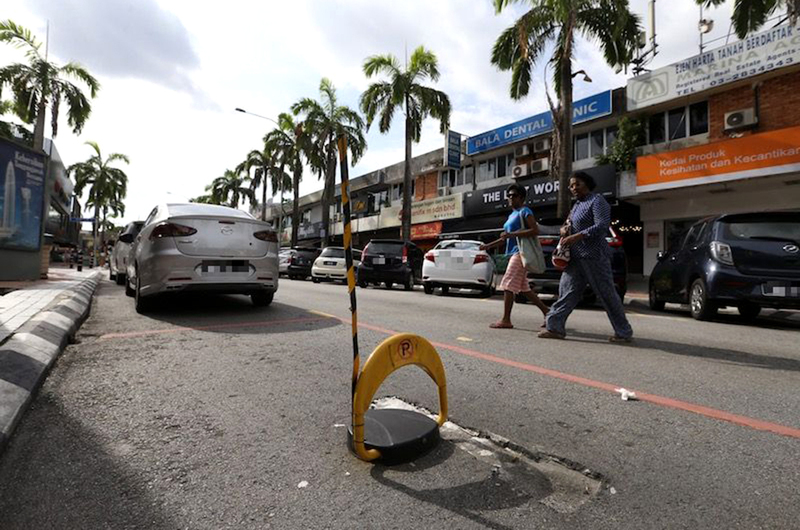 Rojak Daily spoke to MBPJ information officer Ahmad Iskandar Mohammad Mukhtar to find out more about what the public should do when they come across blocked parking bays after the stipulated hours. What to do if a parking lot is blocked? Ahmad Iskandar said the public can help the council by becoming its eyes and ears to put a stop to such problems. “The premise owners should remember that they should not place any sort of objects to block their parking spaces after 6.30pm. Their parking space renting time is only between 8am to 6.30pm. 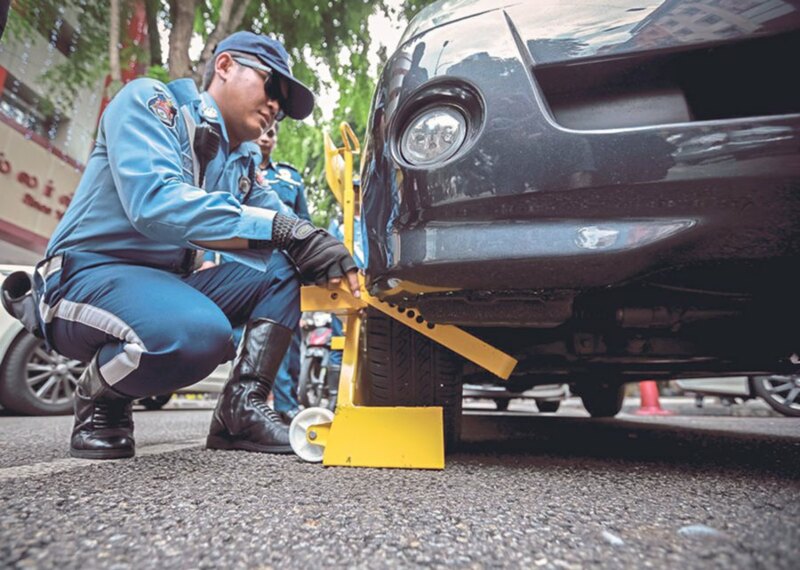 “We have our own special operation squad which goes around the city to monitor and take action on the problem but with the public’s help to identify the premises which disregard the rule, enforcement will be more efficient,” he said. 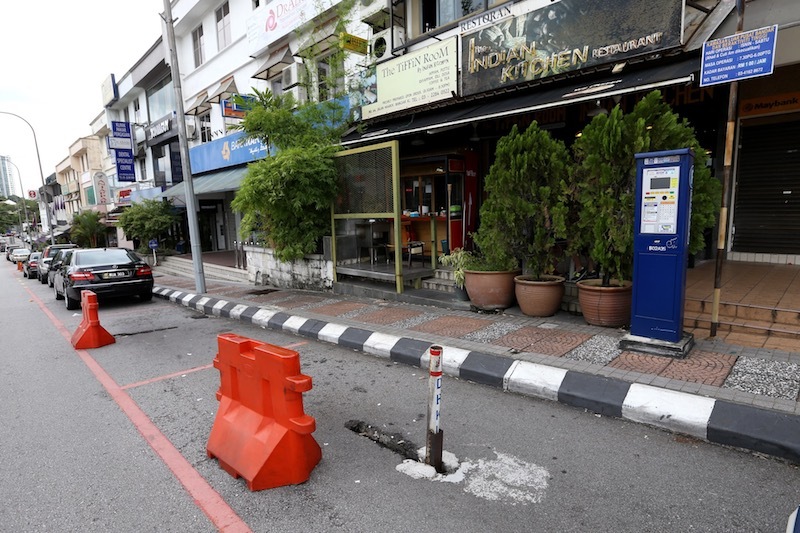 Once a blocked parking lot is spotted, the public can lodge a complaint via MBPJ’s email at aduan@mbpj.gov.my and provide relevant details. If you don’t have the time to write an email, you can call MBPJ’s 24-hour Hotline at 03-79542020 to lodge the complaint. The public can also lodge the complaint through ‘MBPJ Aduan’ Facebook page. Complaints can also be made via MBPJ website by clicking here. Can the public remove light obstruction? While it may seem easier for the public to take matters into their own hands, Ahmad Iskandar said is it best to lodge an official complaint with MBPJ for them to take necessary action. “Of course it is best to lodge a complaint with us. However, if there are light obstruction objects on the parking area after 6.30pm, the public is permitted to remove it. Light obstructions include cones and small stones. “But if you are afraid of taking such action or if the construction is heavy, always lodge a complaint and try to find another parking while waiting for our action,” he said. Ahmad Iskandar said premise and business owners who obstruct parking lots after 6.30pm will face enforcement action by MBPJ. “We will send a notice to warn them of the offence. If they do not pay heed to it, they can be fined RM250 under the Road Transport Act 1987," he revealed. 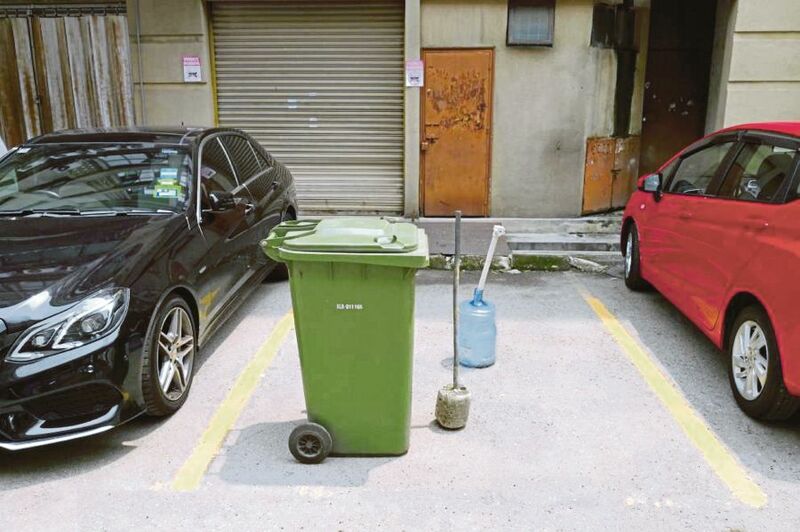 He also told us that there were instances where business owners paint the parking spaces in front of their premises in red to mark their territory, despite not renting their space. “This is a heavier offence. We have the records of the red paint jobs that we have done and records of premises which have rented parking spaces. There’s no way they can cheat. For this offence, their licences could be revoked,” he said. Now that you know what your rights are, we hope you would know what to do when you see an obstructed reserved parking lot after 6.30pm. Whatever it is, try not to take matters into your own hands. 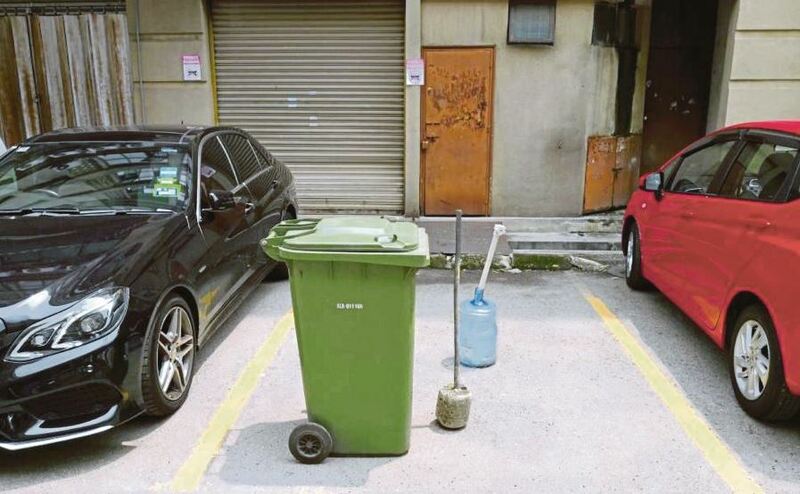 Take a picture of the offending shoplot and send it to MBPJ and wait for them to take action.